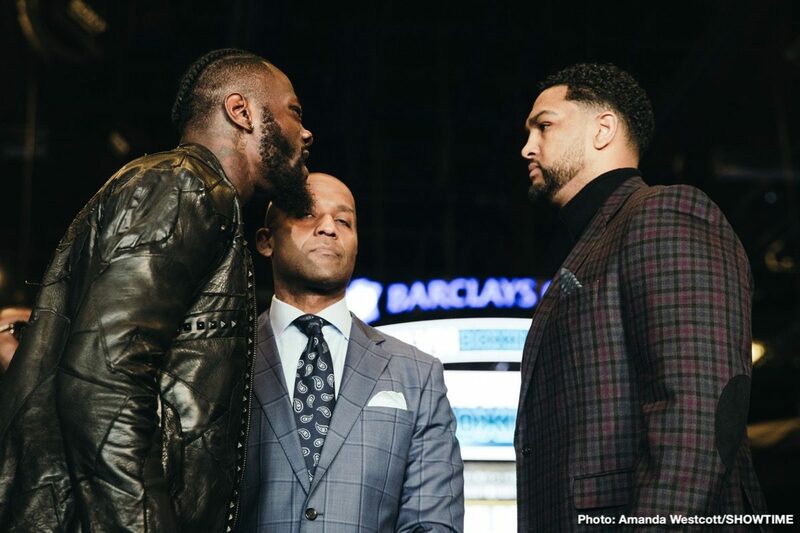 Though fight fans are not exactly at anything that could be described as a fever pitch ahead of the May 18 fight between WBC heavyweight champ Deontay Wilder and challenger Dominic Breazeale, it cannot be denied how there is a genuine element of bad blood attached to the fight; nor can it be denied that things, words, got quite nasty at the official presser to announce the fight last week. Wilder – who once said he’d “love to have a body” on his pro record, as in a dead body – came close to making this same threat against Breazeale, telling his rival how he fully expects him to “make funeral arrangements” ahead of their fight. Wilder does have that wild edge to him, there is no doubt. But Eric Molina, who has been in the ring with both Breazeale and Wilder, along with other top names such as Anthony Joshua, Tomasz Adamek and Chris Arreola, says it is Breazeale who is the “dirty” fighter, the man who has been no stranger to controversy. Kindly taking the time to talk about the May 18 fight, Molina – who wobbled Wilder before being stopped in the ninth-round back in 2015 and who retired on his stool after eight-rounds against Breazeale in November of 2017 – says he is picking Wilder to win by KO but that the challenger can be fully expected to try and make it a rough fight in New York. If Molina is correct and “Trouble” Breazeale does adopt foul or rough-house tactics, we could be in store for a real firefight. Wilder and Breazeale do not like each other one bit (the result of that well-publicised yet still confusing scuffle in a Birmingham, Alabama hotel lobby in February of 2017) and though pre-fight hype is always tasty and effective in upping fan interest in a fight, this one seems to be a genuine grudge-fight. It might not be pretty, but the May 18 fight will NOT be dull. In fact, it could be savage, for however long the warfare lasts. With a combined 57 KO’s between them it’s a given that someone is getting taken out in this one.